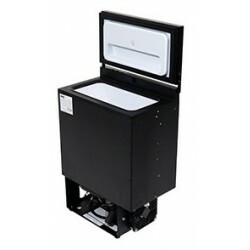 Built In Cooling Boxes | Exalto Emirates LLC. The BI 16 is a refrigerator box equipped with the space saving Secop BD 1.4F Micro compressor solution. The upper lid with inner recess allows big bottle storage. Temperature range from 0&deg;C to +10&deg;C. It combines great usability to high development standards, thanks to its easy to use digital display and to a &ldquo;splash proof&rdquo; IPX5 front protection. 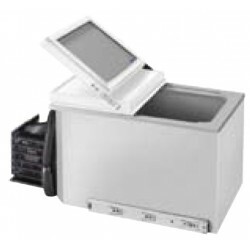 The BI 29 is a refrigerator or freezer box with stainless steel inner lining and plastic bottom section. 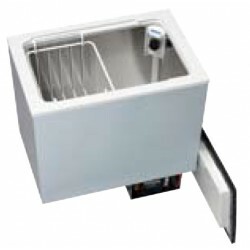 It offers a range of +10&deg; to -12&deg;C. Equipped with roller slides the box can be used as a DRAWER. The fan-cooled compressor can be mounted up to 1.5 m away. 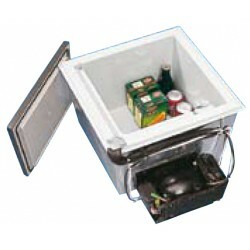 The BI 41 is a refrigerator or freezer box with stainless steel inner lining, plastic bottom section and a wire basket. It offers a range of +10&deg; to -10&deg;C. The fan-cooled compressor is mounted on the side, or easily repositioned up to 1.5 meter away.